In this day and age of reality shows, news stories, getting into the season of the “ Christmas rush” there’s really nothing new under the sun except perhaps the high speed info net. The original Christmas was also a season of hustle and hurry to get to Mary & Joseph’s hometown area of Bethlehem. There was a deadline to pay the government taxes as well as the stresses of travel and Mary’s upcoming delivery of her special miracle Child. The road for this couple was a very long, slow, bumpy ride on a donkey no less, not to mention an extremely uncomfortable one to boot! Finally Mary & Joseph as well as all the other taxpayers arrived in Bethlehem and wouldn’t you know it, Mary went into labor and all the available rooms were gone! The only room available was in the stable with a feeding trough aka manger, as a crib for the Baby. But God had a plan to reveal Himself to these very humble, everyday people as a then reality as well as a now reality for all humankind. He arranged for a very big splashy announcement by using more normal every day people in conjunction with the supernatural powers of angels as well as His own unique, one of a kind God power. No news reporting big media of any kind in our day or days ahead can ever or will ever be able to out-do that big and brilliant announcement. 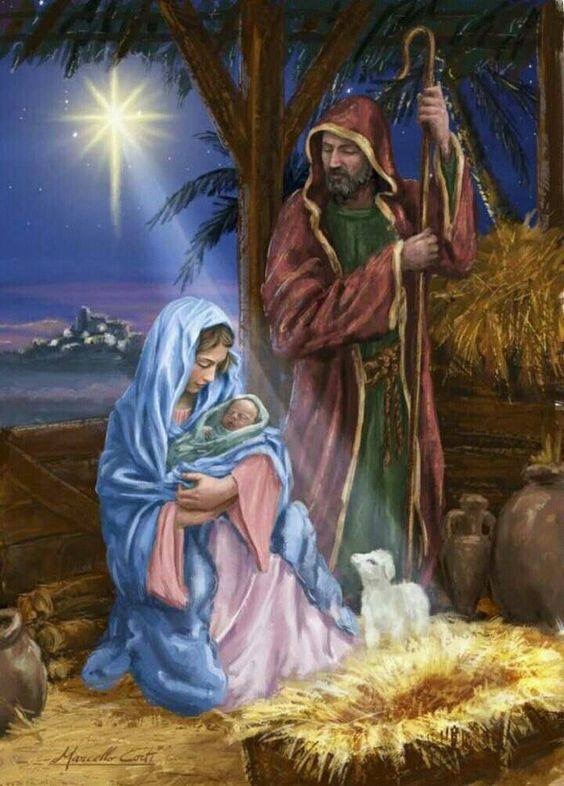 There were shepherds in the fields on the outskirts of Bethlehem guarding their flocks to protect them from the predators in the darkness of the night. These guys too were not only everyday people but at that time were socially looked down on, considered to be “dirty” and had a reputation for being untrustworthy. A bit rough around the edges shall we say? Outcasts perhaps. The Lord has a special interest in the outcasts/ socially unacceptable of our society as well as folks in everyday walks of life. God uses “ shepherds” as symbols of those who cared for His people. He does not see people in the same way that people see people. His heart is for us not against us. He provides the greatest Gift of all time, a timeless, timely and precious Gift of love, peace. There are many benefits of Jesus’ birth. A couple of these benefits are peace that passes understanding ( supernatural) as well the sum of all God’s blessings not just a cessation of hostility. Yet in spite of all that, the Lord God saw the value and worth in them that others could not or would not see. He chose them to be a big part of His announcement to the world. Their lives were forever changed by one encounter with the supernatural yet natural God and His angels. Nearby, in the fields outside of Bethlehem, a group of shepherds were guarding their flocks from predators in the darkness of night. Suddenly a messenger of the Lord stood in front of them, and the darkness was replaced by a glorious light – the shining light of God’s glory. Messenger: “Don’t be afraid! Listen! I bring good news, news of great joy, news that will affect all people everywhere. Today, in the city of David, a Liberator has been born for you! He is the promised Anointed One, the Supreme Authority! You will know you have found Him when you see a baby, wrapped in a blanket, lying in a feeding trough. At that moment, the first heavenly messenger was joined by thousands of other messengers– a vast heavenly choir. They praised God. Heavenly Choir: “To the highest heights of the universe, glory to God! So what did these shepherds do with the amazing news they received? Consider this: the first Christmas rush of all time! A news release that’s not “ fake news” but is truth that has withstood the test of time! It was not the ‘rich & famous ‘ that were involved in this reality ‘show’ but rather it was disadvantaged people, simple shepherds, minimum wage workers with little to no status in the world who were Jesus’ first visitors. They are the humble and poor whom God is now raising up to receive heavenly messages and an audience with the great king. That’s the past as well as present and future reality. This Jesus, born as a baby, was and is a Gift wrapped for all of us human beings. We as individuals have a free will and can choose to receive the gift, to unwrap it (Him) in order to receive this package offer with the many benefits that come with having Him as our own while letting Him have us as His own. We each made our individual choice to receive this living Gift at different times many years ago. Because this is the gift that keeps on giving I/we would like to keep this “news feed” reality going and share this Child and gift with each and every one of you in town and beyond. We wish for you a very Merry Christmas with all the blessings and favor of the Lord, special times with family and friends. For those who have not known or no longer know the peace, have the hope or the joy we pray you will find that as you receive and unwrap this very special gift of love from the Father in heaven to us. His name is Jesus. Will you receive this Miracle Child and all His benefits for yourself? “A Child is born to us. A living Gift is given. May His Presence be the BIG Present to you in your homes this Christmas season and forever.